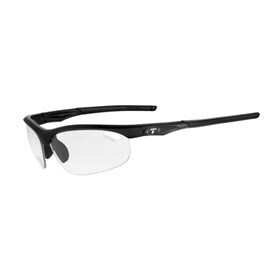 The Tifosi 1040800138 is a veloce fototec readers sunglass that features bifocal lens, which has +2.0 power. Made from Grilamid TR-90 is an incredibly light and durable nylon material that resists chemical and UV damage. The fototec lenses come with variable tint technology that adjusts rapidly to changing light conditions for superior clarity and protection. It provides vented lenses prevent from fogging and comes with an adjustable ear and nose pads. This sunglass features hydrophilic rubber for ear and nose pads, which increase their grip while sweating. The Tifosi 1040800138 has many exciting features for users of all types. The Tifosi 1040800138 is sold as a Brand New Unopened Item.